Since coming to Japan, I have fallen in love with the kimono and spent many hours foraging in antique markets and tiny kimono shops for the perfect design to use in my bags. 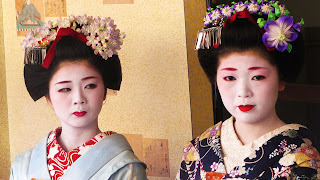 Although you are often aware of women wearing kimonos here, they are usually only worn by the older generation for tea ceremonies or weddings, and the sad fact is that the art of kimono-making is diminishing. We recently came across an interesting piece on Radio Four that reports on the efforts being made to revive the popularity of hand-crafted kimonos and ensure that the ancient skills are not lost. You can listen to it here.